Today’s post is dedicated to all of those people who don’t feel good when surrounded by vivid colours. After all, many of us are dedicated fans of toned-down and a conservative designs, so today something which will perfectly fit such peaceful styles. Our today’s hero is a grey living room sofa which doesn’t necessarily have to be boring or predictable, and most importantly it can find its place within any living room. It is an extraordinarily neutral proposition, with has a lot of potential to find itself in almost any style of interior decoration. However, in order for that to happen one condition has to be met – it must be a piece of furniture with rather simple and/or classic shapes, without any unnecessary fanciful elements. If you’ll decide for such a model then you can be absolutely certain that your sofa is going to be there with you even when you get carried away and decide to completely change the décor. Because both classic as well as modern trends will perfectly suit a grey sofa. For many people a grey sofa evokes unmistakable associations with a Scandinavian style. However, do not get yourselves caught by that idea. 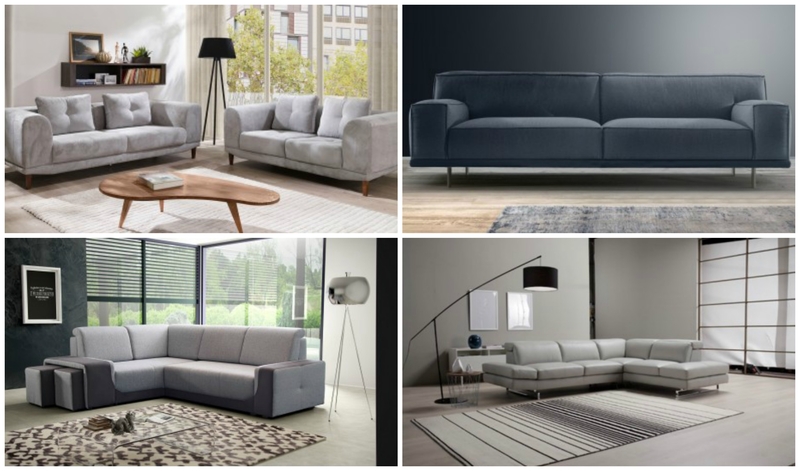 Because even though you actually can count on an exceptionally strong representation of grey sofas and corner sofas in this particular style of interior design, their application should not be limited to Scandinavian styles – a grey sofa for the living room will perfectly fit any other interior design as well. However, when selecting the sofa it is wise to consider the type of used upholstery. Slightly shining, plush fabrics will probably fit a glamour or elegant retro style better than a Scandinavian one. What shade of grey to select? Despite their immensely universal aesthetics, shades of grey will offer you a wide selection of colours. Subtle sand grey, delicate iron, expressive steel or graphite, tones underlined with blue, beige, or green – these are just a few from the many representatives of the grey family. For practical reasons, upholstery in the darker tones is selected more often. However, do not fall for the idea that dirt won’t be visible on dark upholstery – it all depends on the particular type of fabric. In the context of keeping the piece of furniture clean, it’s worth to primarily select those materials which are not completely even. From our experience we can recommend, with a clear conscience, especially melange fabrics in darker colours. They constitute a combination of threads in similar tones, which together give an interesting effect and from a distance give the impression of a monochromatic fabric. Any impurities are definitely less visible on such materials than on uniform upholstery. One more reason why it is worth to decide for a grey sofa – even the most flamboyant and decorative pillow will present itself perfectly on such a neutral background. So, which one is your favourite? 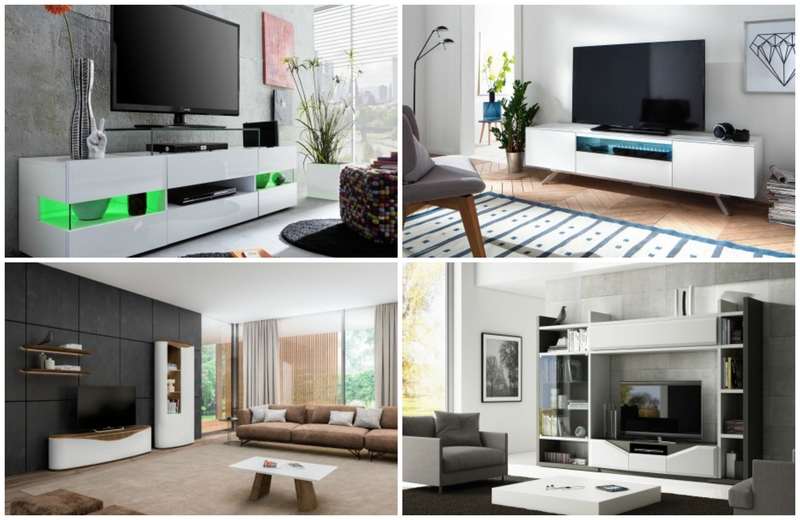 How to choose a modern TV stand?